You are here: Home / Blog / Blog / Teeth Grinding – Do You Do It? Tips on How to Prevent the Damage! Teeth Grinding – Do You Do It? Tips on How to Prevent the Damage! Do you sometimes wake up in the morning with a sore jaw? When you chew, do your teeth and jaw ache? If you grind your teeth, either at night or during the day, you suffer from a disorder called bruxism, and it can be incredibly damaging to your dental and oral health. If you think you’re suffering from bruxism, you should make an appointment with a qualified dentist in Burlington – like the ones at Dental Health Group – to discuss your options. In the meantime, let’s take a look at what causes teeth grinding and what you can do to prevent and treat it. Many people who grind their teeth in their sleep start because of stress. They’ll be under a lot of personal or professional stress, and they’ll unconsciously grind their teeth back and forth as they toss and turn through troubling stress dreams. You would think, then, that the majority of cases of bruxism could be solved by reducing stress and that most of them are actually short-lived. The problem is, according to scientific studies, grinding your teeth as you sleep can become a habit. You may start when you’re under stress, but once the stress is gone, you’ll still wake up with a sore jaw and sensitive teeth. The same is true of grinding your teeth during the day. You may start grinding when you’re trying to bite your tongue instead of saying something impolite to a coworker or your boss, but if you do this often enough, you’ll find yourself grinding your teeth more and more, whether you mean to or not. As you continue grinding your teeth, whether you do it at night or during the day, your teeth will begin to wear down. The pressure and friction from grinding can cause teeth to crack and can even cause them to loosen in their sockets. Bruxism can also irritate the jaw joint, causing TMD (temporomandibular joint disorder, also known as TMJ). In other words, if you grind your teeth, you need to seek out preventative measures and find a way to treat your bruxism before any permanent damage is done. If you only grind your teeth during the day, you may be able to stop by being very aware of your jaw and how your teeth feel. If you catch yourself grinding your teeth, you can stop and take a moment to massage your jaw joint. This should help you relax and stop grinding as much. 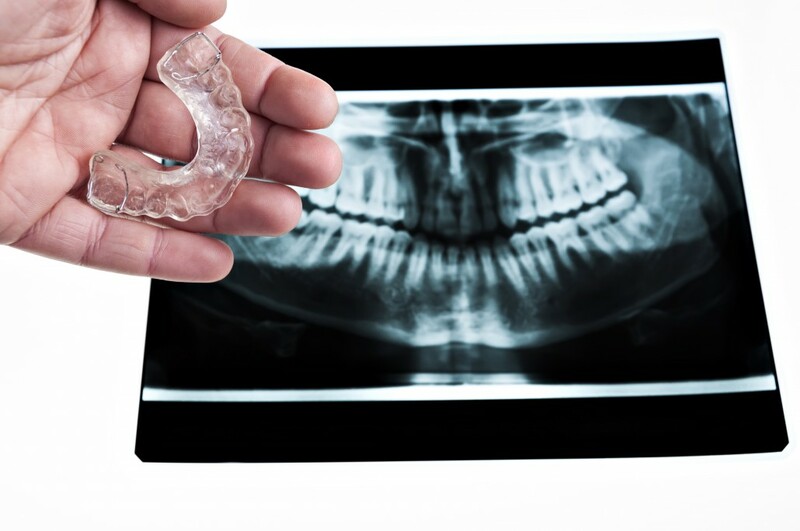 If you grind your teeth at night, a custom mouth guard or splint from your dentist may be a comfortable option. This will help relax your jaw and keep your teeth from grinding together. After wearing a guard or splint for a while, you may find that the habit has faded and that you don’t need to wear it any longer. In addition to preventative measures, you may need to get some dental treatment to correct damage to your teeth. This can include veneers, crowns, inlays, or onlays, among other treatments. Basically, once you’ve addressed the grinding problem, your dentist will want to correct any damage to your teeth and give you back your gorgeous smile.